Identipro have over 10 years experience of supplying and supporting sign and label printers. Our sign-making and label printing systems allow users to take control, improve efficiency and flexibility by bringing sign and label production in-house. Print your own safety signs, warehouse labelling, facility signage, pipe markers, visual workplace, asset labels and more. As well as sign and label printers we also offer a wider range of facility and safety solutions including Lockout/Tagout products, pre-printed pipe markers and warehouse labels and spill control kits. We support our customers with on-site surveys to establish and advise on appropriate solutions to improve safety and process efficiency. 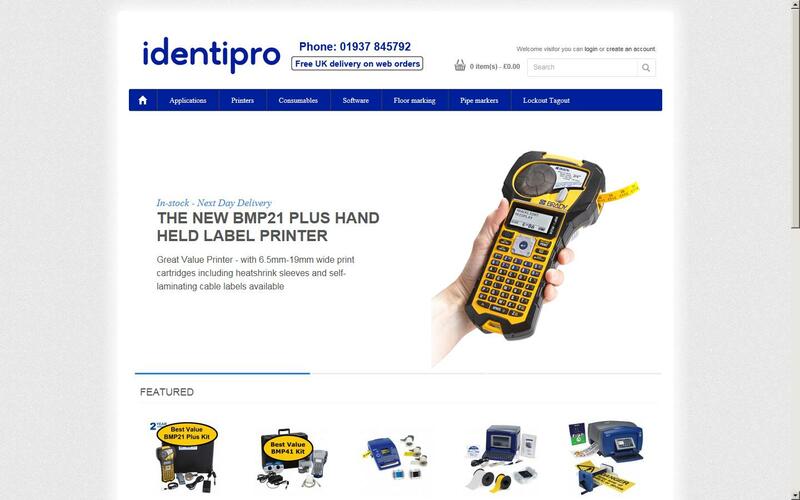 Identipro provided us with a fast, efficient and friendly service. Purchased BMP51 Portable Label Printer for labeling cables at out datacentre after speaking with Dave at Identipro.The device and labels did more than expected and we are very happy with the purchase.Only thing I would say is ensure you purchase the correct labels as there are many variations.All in all an excellent device and service.